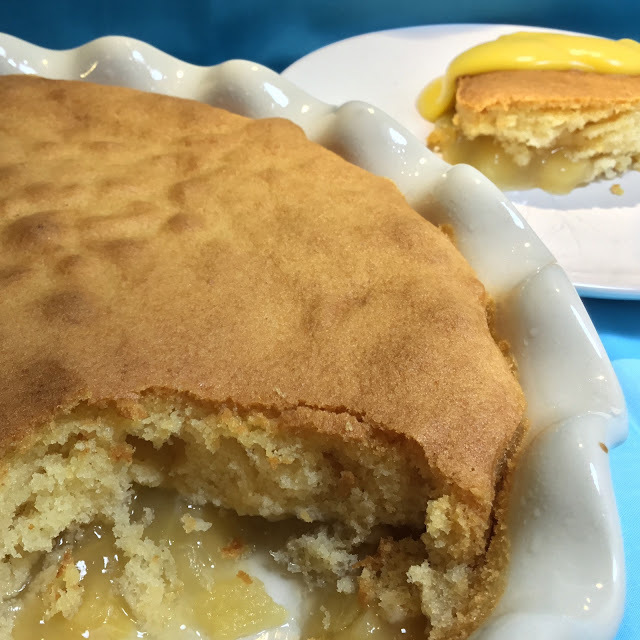 Eves Pudding is a traditional British pudding with Victoria Sponge Cake on top of sweetened, stewed apples! Lightly oil an ovenproof dish. Thinly slice the apples and evenly layer in to the bottom of your dish with the sugar. Alternatively, stew the fruit on the stove first. Next, sift together the gluten-free flour, gluten-free baking powder and xanthan gum. In a medium bowl, cream the dairy-free margarine and sugar, until light and fluffy. Then, beat the eggs in, one at a time. Carefully place the cake mixture over the apples and gently level the top.